The classically trained Laura Mvula has been creating quite the buzz on the internets for a while. From the release of her EP She back in November, she has had everyone basically sitting on the edge of their seat waiting for what she had in store for us with her highly anticipated debut album Sing To The Moon. With its release on March 4th, she has already sold out her headline show at the Tabernacle in London, secured gigs with both Jesse Ware and Poloma Faith, and has critics raving profusely about Sing To The Moon. Not too bad at all. Sing To The Moon not only embodies incredible arrangements and melodious tracks, quite simply, but it is also very different and refreshing in contrast to what you’re used to hearing. It is aural stimulation at its best. The opening track “Like The Morning Dew” is a balance of highs and lows with chiming bells, a solid drum line, and Laura’s vocals. “Can’t Live With The World” would be perfect in a film to accompany a picturesque scene between two lovers. No words would be needed, just the backing vocals of Laura and her lyrics. It would capture a scene perfectly. Surely with Laura telling us: I will never be what you want and that’s alright/I play my own damn tune/I shine like the moon/and very soon/I’ll soon fly over you – on “That’s Alright” will have everyone applauding. She refuses to be put in anyone’s box, and she unapologetically lets you know that. As a matter of fact, she also actually prays for all the haters out there. Whether about love or in general, the song fits appropriately. So take that. The title album track is the complete opposite of many tracks on the album – quiet, soft, and armed with a certain calmness. Absolutely beautiful on its own. 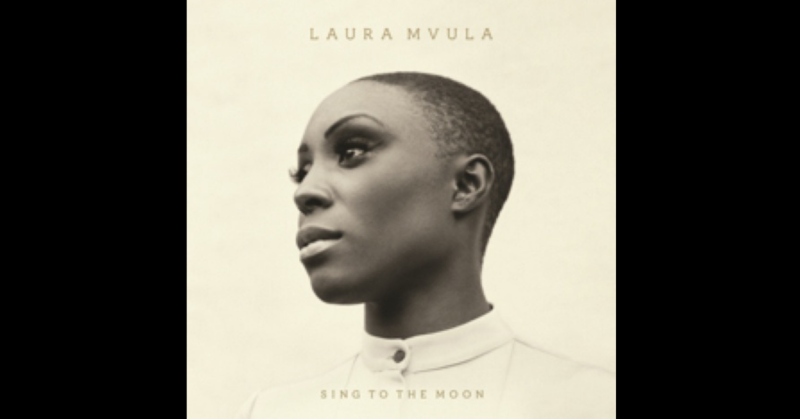 Laura Mvula has broken the prototype of what is expected from a new artist. She brought originality with a touch of eccentricity, tied it up neatly and presented it with a huge green bow in the form of Sing To The Moon. It’s no surprise that critics are gushing over this album. It’s fresh and totally unfamiliar (Okay, perhaps not totally, but she sure does shine bright). And ladies and gents, it’s always fabulous to reach into the jar of the unimaginable. You never know what it’s going to bring.